The Art department at Rocky Mountain College is full of captivating experiences and opportunities. 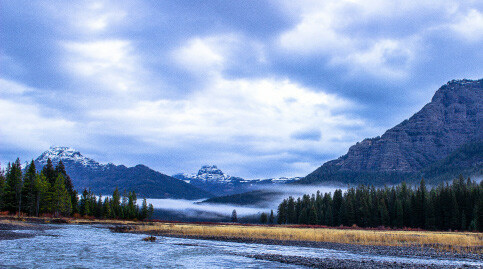 Both the Nature Photography and Digital Photography classes take a yearly trip to Yellowstone National Park. Absolutely spectacular landscapes, wildlife diversity, and volcanic features make Yellowstone National Park a world renowned place to do photography. Since 2006, art professors Mark Moak and Dave Shumway have taken students on a weekend trip to Yellowstone National Park. The trip focuses on the development of photographic skills. The trip consists of a weekend of exploring many of the breath-taking sites spread throughout the park. Shumway, a Rocky alumni and world class photographer, has taken over one hundred fifty trips to Yellowstone himself, making him one of the most experienced individuals in wildlife photography in Yellowstone. The Nature Photography and Digital Photography classes are offered every Fall. Two weekend opportunities are provided for the Yellowstone trip. “The Yellowstone trip for photography was incredibly fun and interesting. 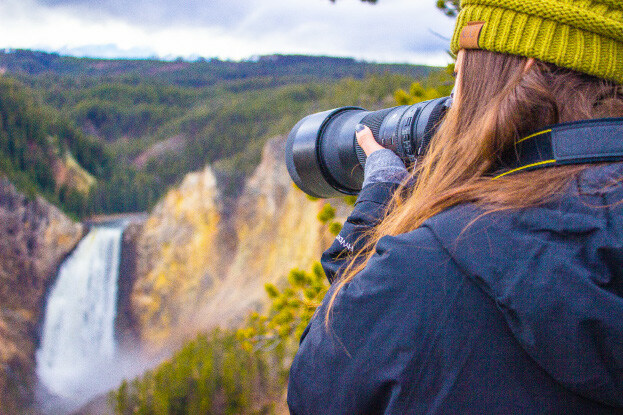 As a group we were able to explore Yellowstone and its wildlife, and to document it with our cameras and lenses.” said senior computer science major, Ean McLaughlin. “Dave took us on a little hike searching for owls in the trees off the main highway. We went about mile a back into the forest in search of the birds,” McLaughlin said. The expertise and personality the professors provides an encouraging and productive environment that helps to increase the students’ ability to take photographs. Throughout the day, the students travel around to a variety of places with the goal of capturing wildlife, landscapes, and thermal features that can make for stunning pictures. “It was a great trip and it taught me a lot about how to capture a moment before it passes, and how to take better quality photos to capture what an amazing place Yellowstone is,” said senior, Paige Bailey Behner. 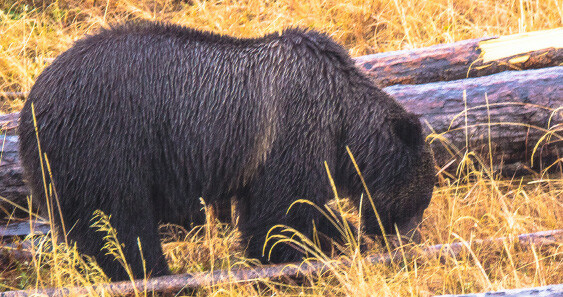 This year, Rocky Mountain College students were able to photograph coyotes, elk, birds of prey, and even a grizzly bear. The technical knowledge provided from the experience of Shumway and Moak allowed students to increase their photographic abilities in a short period of time. The students captured shots of sunrises, thermal features, mountains, sunsets, and wildlife on the largest active volcano on the planet. The photographic guidance that students receive from professors and the variety of locations that the students visit, makes the Yellowstone trip an intensive photography course within itself. The expenses of lodging, travel, and food are all covered with cost of tuition. The photography students are also able to interact with their peers and learn different techniques, styles, settings, and photographic effects from one another. Moak or Shumway can be contacted for more information on the photography classes and the Yellowstone trip.